YEARS OF EXPERIENCE enable Moulding Masters to help you achieve your dream. 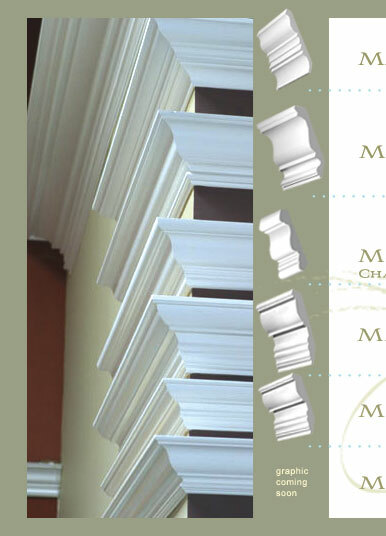 Study these samples to see which crown would work for your project and ask our staff for advice. There are many "tricks of the trade" that can save you money and time and give a better result. One of your most important decisions is wall COLOR. The colors on this page were chosen by our color consultant, Victor Cohen Stuart for the sample rooms in our Concord Store. 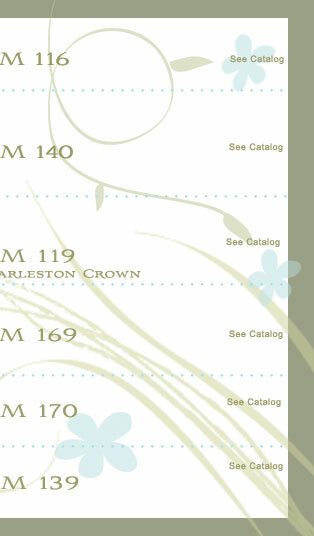 You are welcome to come in and view the sample rooms in both the Concord and Dublin stores. 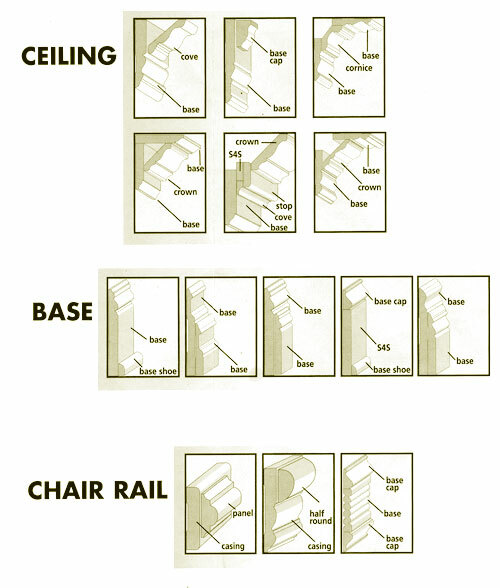 Take a look at the diagrams at left for more ideas for trim. Ask our staff to explain how this technique is used in our sample rooms. The posssibilities are unlimited! 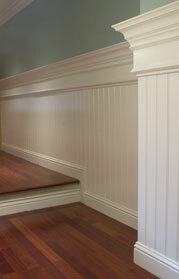 Below, our Concord upstairs office features cherry floors, beadboard, and a built up chair rail.